While this winter started off pretty mild, it has certainly turned cold across much of the New England area, including Boston. With snowstorms and ice storms knocking out power throughout the Commonwealth of Massachusetts, safety officials fear the worst as people are turning to alternative means to heat their homes, including wood stoves, space heaters and generators. 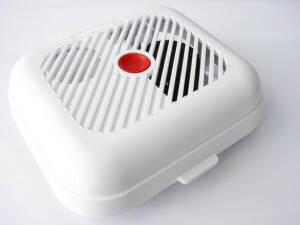 The reason for the fear is that these devices, while they may heat the home, present a major risk for carbon monoxide poisoning, which can cause serious personal injury or death. According to a recent news article from Wicked Local Franklin, firefighters in Massachusetts have already had to respond to a number of carbon monoxide calls where they needed to ventilate the buildings and make them safe again for residents. Luckily, there were no injuries in these cases, and there were carbon monoxide detectors that were able to warn the residents, so they could call the fire department in time. For this reason, the Wrentham fire chief is urging everyone in his jurisdiction and across the Commonwealth to make sure they have working smoke detectors that also monitor for carbon monoxide and have good batteries as backups in case the power goes out. It should be noted that in all new construction, the smoke detectors are required to run off the home’s electrical power, and then have batteries in the event of a power outage. In many homes in the Boston area, the smoke detectors run entirely off battery power, so it important to make sure they are fitted with new batteries before the next storm and power outage. While you have the power to make sure you own home has a safe and working carbon monoxide detector, in Boston, where many residents live in apartment buildings or triple-deckers, a neighbor who does not have a working carbon monoxide detector may create a serious risk for all others in the building. Even if you have a working carbon monoxide detector in your home, by the time it goes off, you may already be suffering the effects of carbon monoxide poisoning and could suffer a serious personal injury. While this is certainly a risk, carbon monoxide poisoning is but one of many ways the negligent conduct of a neighbor could put you and your family at risk for a serious personal injury. Another example would be a fire caused by the negligent actions of a neighbor.